Alfredo Montajes is a 45 year old farmer who lives at 11-A, Pic, May. Sec. Compound, Muntinlupa City. He was born on May 19, 1967, married and has 4 children. 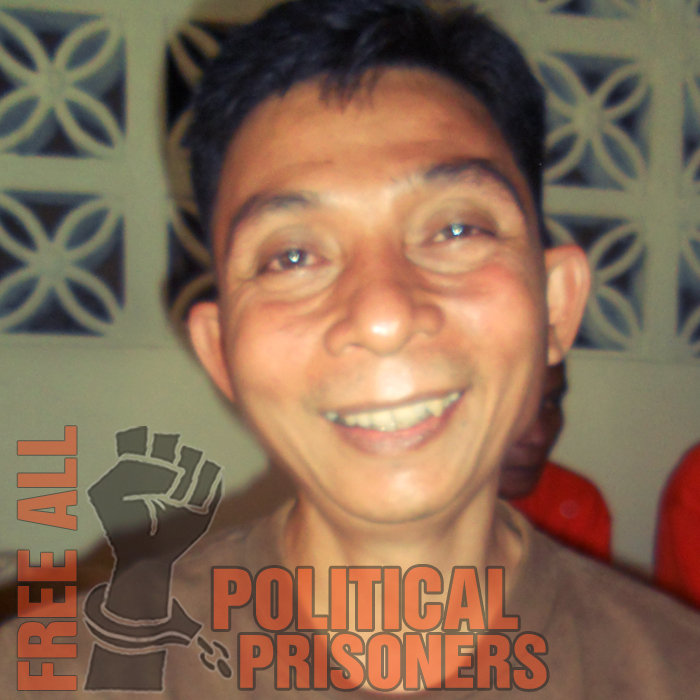 Alleged to be member of the New People’s Army, Alfredo was arrested while staying at his niece’s place at Karuhatan, Valenzuela on April 2, 1994. The case filed against him, robbery and homicide, were tried at Branch 72, RTC, Valenzuela. He was sentenced to reclusion perpetua. He is suffering from poor eyesight and hypertension. He has suffered in jail for 18 years.